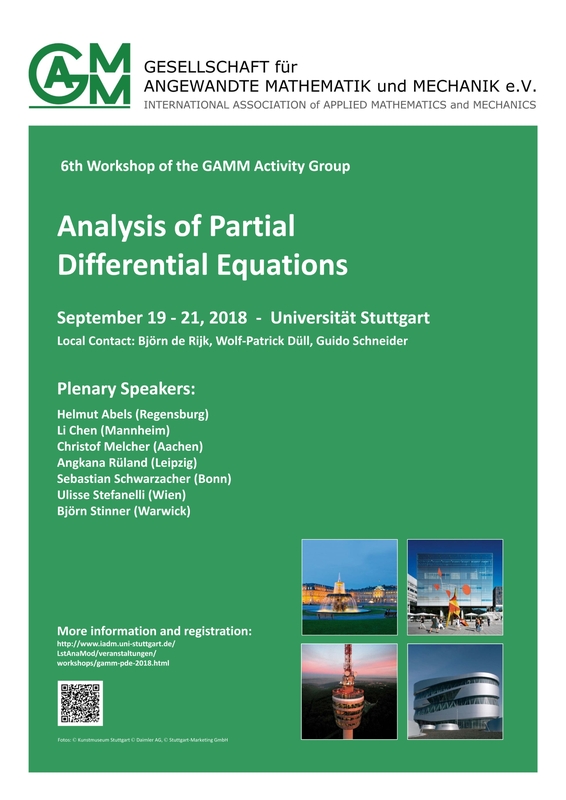 From September 19 to September 21 the 6th Workshop of the GAMM Activity Group on "Analysis of Partial Differential Equations" took place at the University of Stuttgart. The goal of the activity group is to strengthen the cooperation between mathematicians working in the area of analysis of PDEs within Germany and neighboring countries. 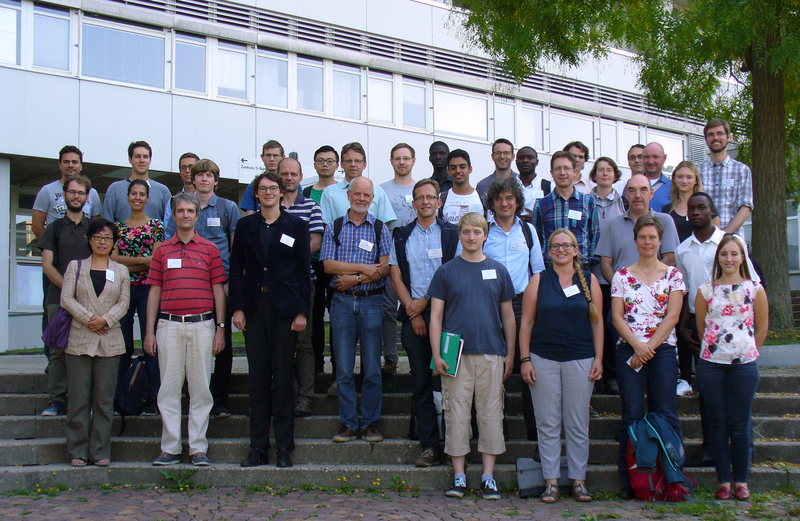 The kick-off meeting was organized by Helmut Abels and Harald Garcke in October 2013 at the University of Regensburg. This year's workshop consisted of 7 plenary lectures, a number of contributed talks and a poster session. The workshop attracted 44 participants.